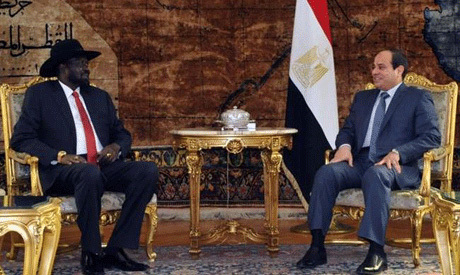 South Sudan's President Salva Kiir arrived in Cairo on Wednesday for a two-day visit to the Egyptian capital, local media reported. The South Sudanese president is planned to hold talks with Egyptian President Abdel-Fattah El-Sisi on mutual ties, regional issues and his country's peace agreement with rebel factions to end almost five years of civil war. The two leaders will also address a range of issues in the Nile Basin countries as well as negotiations over Ethiopia's Grand Renaissance Dam, which Egypt fears could diminish its supply of Nile water, but is supported by Sudan.